Re-entry (returning home after extended travel, especially abroad) can be one of the hardest parts of a location-independent lifestyle. 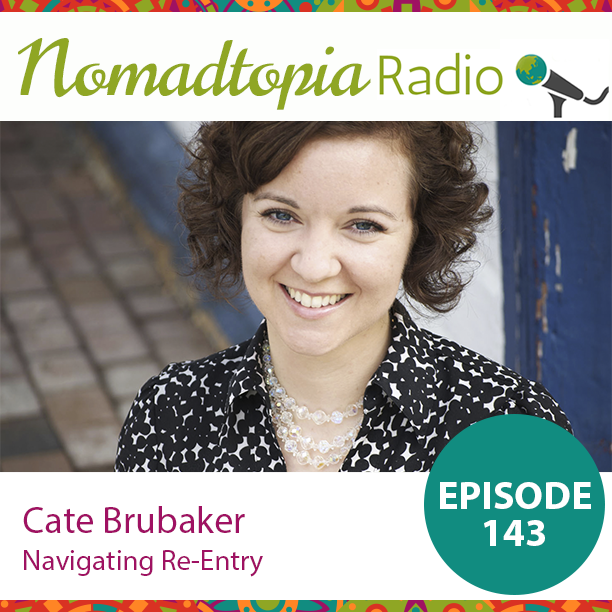 Dr. Cate Brubaker—re-entry coach, consultant, and part-time nomad—joins me to talk all about why re-entry is so tough and what we can do to make it easier, no matter how long we’ve been gone or how long we’re staying put. Please leave a review in Apple Podcasts or your favorite podcast app or share it with your friends!